Is it money or meaningful work? Work-life balance is one of those buzz words that characterizes the zeitgeist of our times. We live busy, hectic lives and, in order to control all this activity, we often separate our different spheres of activity into compartments of work, family, socializing, romancing, education, politics, religion, and so on. This compartmentalizing also extends to our mental and emotional lives, to what we do and believe, to what we value. Work-life balance is about aligning our being with our doing. Easier said than done, right? In fact, there is strong evidence to support the conclusion that there is very little work-life balance in our lives. We might want it…but we can’t get it! Reducing work-life conflicts is not a high priority for most employers even though doing so is proven to be a major factor in better job performance, according to Paul Fairlie, a researcher that I spoke with recently. He designs and conducts surveys related to meaningful work. He says that the same 9-10 dimensions keep coming up in research. 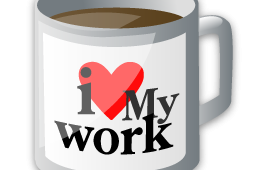 Is it money or is it meaningful work? It’s both. It’s a two-stage motivational process. People need a certain amount of money to be comfortable and to feel appreciated at a level similar to others doing the same job. Beyond these few extrinsic drivers, the vast majority of people pursue intrinsic rewards, e.g. meaning-based goals and values. Some people can be cynical about these kinds of results, and prefer to pursue extrinsic goals, such as money, prestige, status, power; rather than intrinsic goals, such as meaning or socially useful work. But the research clearly shows that money rarely shows up as a major influence on motivation and behaviour once basic needs are met. As Paul learned from surveys, it is understandable that many people are more likely to choose a raise over more meaningful work, but that doesn’t stop them from wanting more interesting work. His research demonstrates that most employees still want self-actualizing work; they want to make a social impact; they want personal goals/values alignment with jobs/work/employers; they truly want a sense of personal accomplishment. When they get it, they are more likely to stay with their employer and report higher levels of satisfaction, commitment, engagement, and discretionary effort. Furthermore, the higher they score on his Meaningful Work Index (MWI), the more likely they are to experience fewer physical and mental health symptoms. He reviewed 2 national studies in 50 states and found that employees with a high MWI score measured low burnout, low depression, low stress, and low anxiety. However, when employees don’t find meaningful work with their employers, they disengage–the rate of days lost to sickness and loss of productivity rises dramatically. Indeed, the stats suggest that a growing fringe of Americans and Europeans are withdrawing from work as a meaningful life pursuit. Work-life balance enables individuals to become self-reliant, make informed choices and find satisfying and fulfilling work and lifestyles in today’s rapidly changing labor markets. Creating such a business isn’t for everybody but more people than ever are leaving their corporate jobs to try it for themselves. 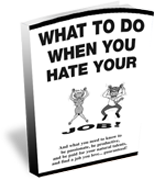 Author GeorgePosted on November 19, 2012 January 15, 2015 Categories job changeTags career advice, depression, hate my job, job stress, meaningful work, Work life balance2 Comments on Is it money or meaningful work?